Would you like to share pictures of Shreshtha Vihar with other users. Please click here to upload. 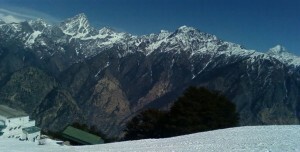 Auli is the kind of place where you can find pleasure, adventure, and nature’s beauty at its best. The deodar and oak forests cover the slopes …. The place is famous for skiing and for its scenic beauty and we were not disappointed!